Inflammation is the first stage of any musculoskeletal injury. This process involves infiltration of many inflammatory signaling cells (cytokines). If irritation continues, then inflammation will not subside. Therefore, it is essential to improve inflammation as soon as possible. Once inflammation resolves, assessing muscle length, strength, and timing is essential. In some cases, inflammation surrounds the joint, in other cases, the bursae are inflamed, as in bursitis. Bursae are closed, round, flattened sacs that are lined with synovium and separate bare areas of bone from overlapping muscles (deep bursae) or skin and tendons (superficial bursae). They are present in areas of high friction and believed to decrease rubbing and absorb some of the pressure associated with the joint. Deep bursae develop in fetal life, whereas superficial bursae form within months to several years after birth, suggesting that direct pressure and friction stimulates their development. 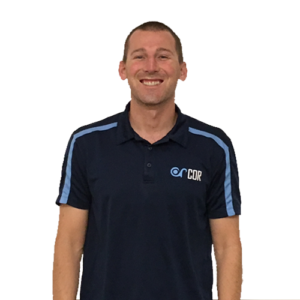 For example, some of these sacs develop in response to the environment, suggesting swimmers would have a higher volume of bursae in the shoulder to handle the high volume of overhead movements in swimming. Whether you have bursitis or joint inflammation, decreasing inflammation is essential for improvement. Think about it, if you have too much fluid in a confined area, then mechanical pressure increases on nocioceptors (read TENS for shoulder pain) and pain persist. Luckily, everyone has the tools at home to improve inflammation with minimal cost or drug prescription from a physician. Improve your diet: Improving your Omega-3 profile decreases inflammation. Read more about anti-inflammatory foods. Non Steroidal Anti-Inflammatory Drugs (NSAIDS): Storied physician Dr. Janda suggests taking 600 mg three times a day to improve inflammation (for a 150-pound athlete). This high dose ensures the blood reaches titer level. Make sure to take this dose with food to decrease stomach irritation and if you take other medication, make sure no potential side effects are present. If stomach irritation occurs, decrease intake immediately. Ice: Ice the joint for twenty minutes three times a day to decrease pain via counter irritation and relax the anti-inflammatory cytokines. Kinesiotape: Certain taping procedures are believed to help move excess fluid from the joint to the lymph nodes to resolve inflammation. 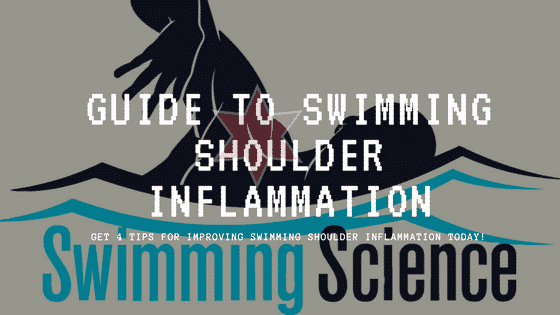 For more tips on inflammation and improving shoulder pain, buy Swimmer’s Shoulder System today.